Being able to read and write well and from an early age has never been more important to our children. Without a high level of literacy a child's opportunities will be severely limited in the high tech world of the 21st century. Yet "Too many children in England do not read or write well enough by the time they leave primary school." Ofsted Reading by six – How the best schools do it. Target Literacy offers a range of professional development opportunities which seek to empower schools to achieve the very best practice; underpinned by appropriate cultures, practitioner knowledge, skills and systems. Teachers are encouraged to explore and develop their own practice within a positive and friendly learning experience. We work with all key stages, in Special Schools and directly with parents. In addition we work in an advisory/consultancy capacity with the private sector. 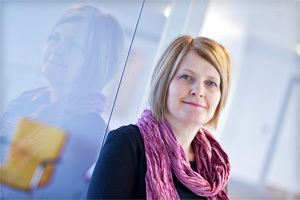 Current work includes Series Consultant with Oxford University Press on the Project X reading scheme, research support in standardising the latest GL Assessment Phonological Awareness Battery 2nd Edition and advisor on the Marketing Advisory Group for Mars UK ensuring the company’s advertising is not directly targeted at children under 14 years old. 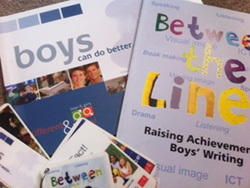 Previous publications, produced for Kent County Council, have included Boys can do Better and Between the Lines. 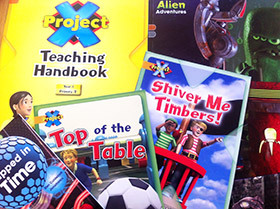 Both publications focus on raising boys’ achievement in writing. Target Literacy provides support for evidenced based specialist interventions, continued professional development and training to raise standards for the lowest attaining pupils in our education system. We are an accredited provider of quality assured intervention programmes such as Reading Recovery, Boosting Reading Power (BRP) and Talking Partners. I am Director of the independent education consultancy service, Target Literacy Limited. I have been involved in education since 1985, when I started in my first teaching post. After teaching and managing in a range of schools, I worked for Kent LA as Literacy Consultant, Primary Strategy Consultant and Reading Recovery Teacher Leader. I currently lead the Reading Recovery Programme in Kent and am associate consultant with UCL Institute of Education London. I have always had a passion for ensuring the lowest attaining and most vulnerable learners reach their full potential – and for supporting school staff and parents in achieving this for their children too. As a training service I believe that it is important for our personnel (including the director!) to maintain a regular and up to date teaching commitment in school to maintain credibility and a realistic view of the challenges of teaching and learning. I therefore teach children in Reading Recovery daily whenever I can. I enjoy a close working partnership with Kent LA and my company is on the procurement framework of school support within the authority. As an accredited provider of Reading Recovery and Growing Reading, Oracy and Writing @KS2 I maintain professional links with the Institute of Education in London thus ensuring my ongoing professional development. I believe my qualifications are testament to my abilities and my passion for education and especially literacy. Do contact me I would love to hear from you!